Forests contain 80% of all life on land and cover around 30% of the Earth’s land area. They help regulate our climate, purify the air we breathe, and provide the water we drink.They are vital to maintain a living planet and we have to ensure that forests can meet the needs of present and future generations.WWF works together with IKEA to promote responsible forest management, good governance, and transparency in timber product trade. IKEA and WWF have been working together since 2002 to safeguard and manage precious natural resources and transform business. 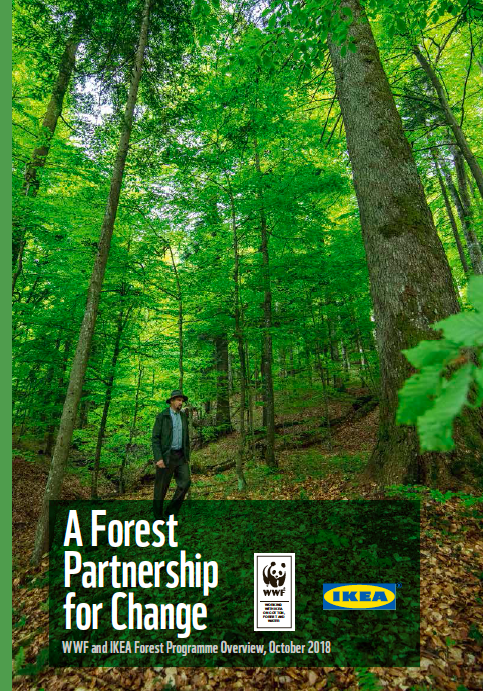 By improving standards and regulation, developing best practice, and encouraging innovation, this partnership is pioneering new ways for the forest sector to contribute to a sustainable global economy, supporting sustainable landscapes, and securing forest values for both present and future needs. The partnership is now in its sixth phase (2017–2020). The latest briefing here offers a summary of the WWF/IKEA forest partnership for change.